God, I bloody love this stuff. Because I love coffee. And I am fussy about coffee. But I don’t always have time to be fussy about coffee. Even making an Aeropress can sometimes take too long if the toddler is rampaging. Also I quite like the small ceremony of the Aeropress routine, and to take my time with it. I also, slightly freakishly, like coffee when it’s gone cold. Again, useful when there’s a toddler around. But yeah, it’s sometimes more bitter than you’d ideally like (more on the science here). So I decided to make some cold brew. Which sounds like beer to me but it’s actually an immersion method of slowly brewing coffee. 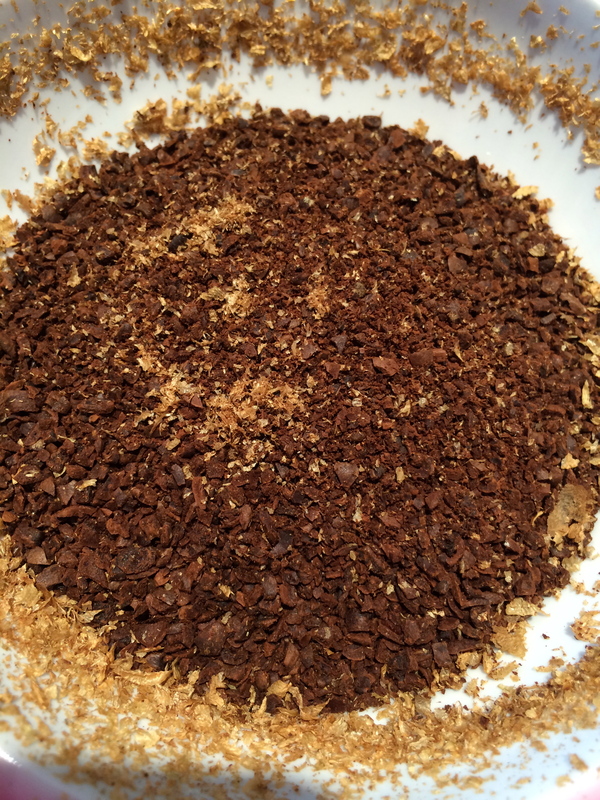 I coarsely ground some Union Hand Roasted* coffee, 110g of their Abahuzamugambi ba kawa microlot from Rwanda. Cold brew can give a smoother taste but only if you’re using decent beans in the first place, and these are amazing. Candied orange and milk chocolate notes. Then I put the grounds in a huge Kilner with 2L of water, gave it a good stir – and you can see it start to bloom, above – and left it 12 hours. To strain, I lined a sieve with two Chemex filters and poured the whole thing through, which took about 15 minutes. 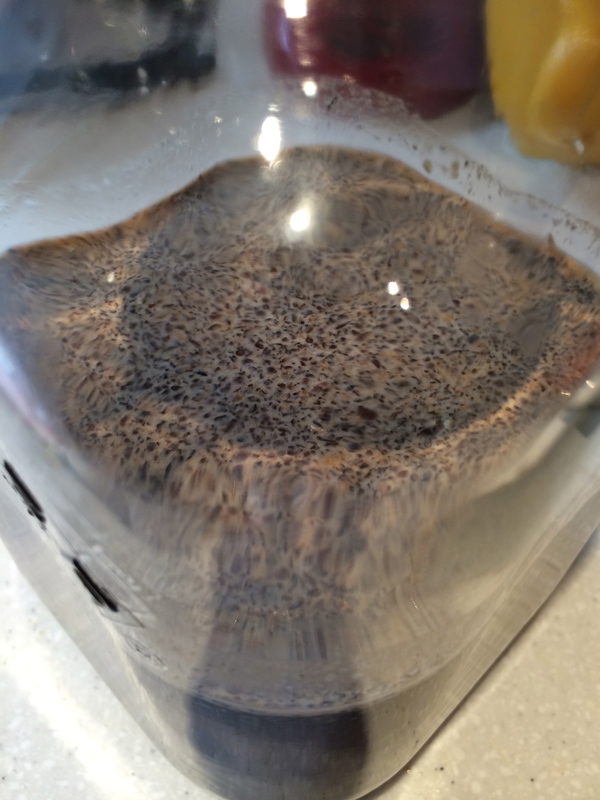 Then bottled it and put it in the fridge: beautiful coffee concentrate. Depending on who you talk to, it keeps anywhere from two days to two weeks. But it’s not difficult to make so I think we’ll aim to prep a batch every three to four days. 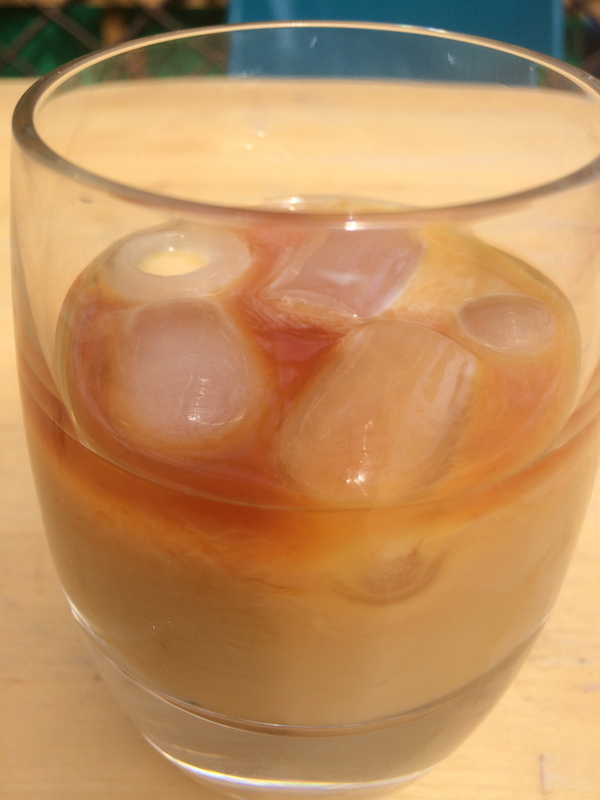 Since then – sun or not – I’ve been throwing a cup of it over ice and usually adding a little whole milk. It’s amazing coffee flavoured rocket fuel. Can’t imagine I’ll be brewing any other way until there’s frost on the trees!